Presented here by Under The Influence, THE BLUETONES make a welcome return to York Fibbers! 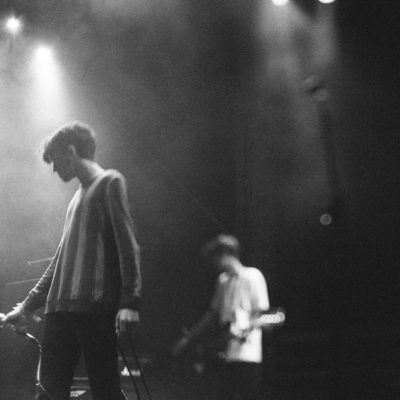 The West London quartet, fronted by the enigmatic Mark Morriss, were a huge part of the Brit Pop era and still have an army of followers worldwide. An impressive run of hit singles included ‘Bluetonic’, ‘Slight Return’, ‘Marblehead Johnson’, ‘Solomon Bites The Worm’, ‘If’ and ‘Keep the Fires Burning’. 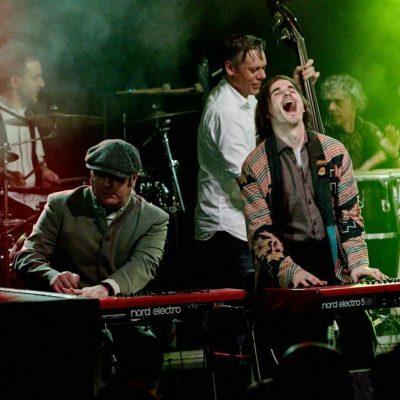 Mark Morriss, Adam Devlin, Scott Morriss and Eds Chesters on drums scored thirteen Top 40 singles and three UK Top 10 albums. 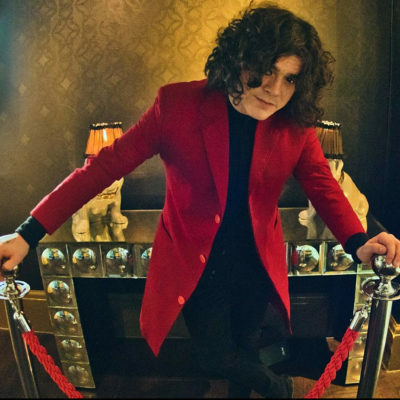 Glastonbury, Top Of The Pops, you name it…. 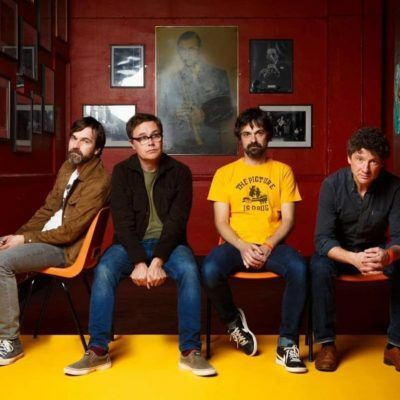 The Bluetones did the lot and toured with everyone from Radiohead to Bruce Hornsby & The Range. 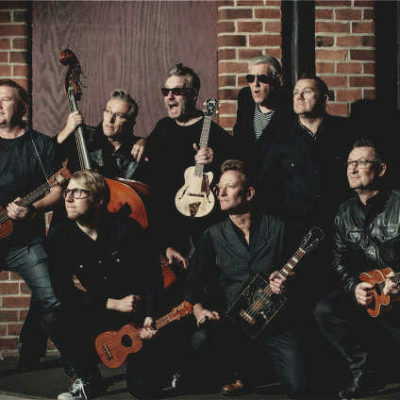 Finally, after playing more than 10,000 shows in more than seventy three countries, they’re back for more, promising a sensational set of shows as they plunder their incredible body of work one more time, playing their most popular songs. If you miss them this time, it may be a lifetime before you get another chance. Well, this is just blatantly another big old Fibbers sell out ain’t it. Such a pleasure to see guitar music, and especially in York, busting the doors again. Welcome back SEROTONES for their fourth headliner here, the first of which pulled five hundred mad indie/rock fans – what an atmosphere, and we’re pretty sure this one is going to get close to if not actually sell out altogether. Great bunch of supports too – BE HERE EARLY! “Everything we do as a band is all about what the fans want to see and hear and a lot of hard work goes on in the background making sure we look and sound are bang on!” they say. 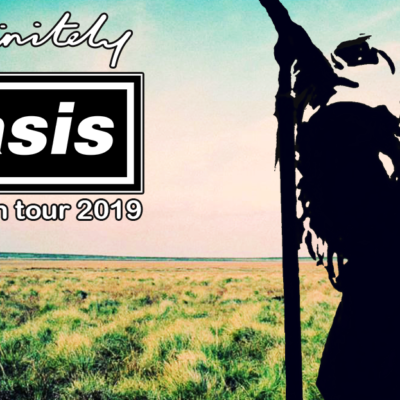 With the real Oasis on an extended break, this is the next best thing and Definitely Oasis do an amazing job of keeping the music alive setting the bar high by re-creating the look, sound and feel of an Oasis gig that fans come to expect. The only Oasis tribute with both Liam and Noel sound-alikes and a current set list that includes Turn Up The Sun, Morning Glory, Columbia Shakermaker, Bring It On Down, Slide Away, Four Letter Word, She’s Electric, Lyla, Some Might Say, Supersonic, Roll With It, Whatever, Wonderwall, Meaning Of Soul, Rock N Roll Star, Live Forever, My Generation, Talk Tonight, Half The World Away, Lock All The Doors, Don’t Look Back In Anger, Champagne Supernova and Cigarettes & Alcohol. KILLING EVE is the brand new project from ANDY COUSIN (All About Eve/The Mission) and ANNE MARIE HURST (Skeletal Family/Ghost Dance). Andy is currently busy as a radio presenter on The Andy Cousin Show and amongst many other projects he famously played bass for All About Eve and The Mission. ANNE MARIE HURST was the lead singer in Skeletal Family and Ghost Dance who she co-founded with Gary Marx from Sisters Of Mercy; here Anne became a well-loved and respected vocalist and features in the top 10 most influential women in Goth. The line-up is completed drummer ADRIAN ‘Ozzy’ OSADZENKO (ex-Skeletal Family and 50 Foot Woman who toured with Ricky Warwick). Killing Eve have just completed a 13,track album which will be released soon! COLD IN BERLIN return with a fourth album recorded and set for release in Autumn 2019, and continue to explore the darkest corners of heavy guitar composition from their spiritual home of gothic doom punk. A year off to regroup and write has produced the bands strongest set of tracks to date, with their trademark epic darkness now summoning haunting keys and string sections. Vocalist Maya, empowered by a recent collaboration with punk icon Lydia Lunch for Transmaniacon’s The Strange World of Suzie Pellet concept album, delivers a breathtaking range of shattering lyrics inspired by nothing less than the imminent collapse of the world as we know it. GROOVING IN GREEN formed 2008, currently featuring Tron on vocals (Solemn Novena), Pete Finniemore on guitars (Children On Stun/Switchblade Switch), Simon Rippin on drums (Eden House/Adoration/NFD/Nefilim/Red Sun Revival). 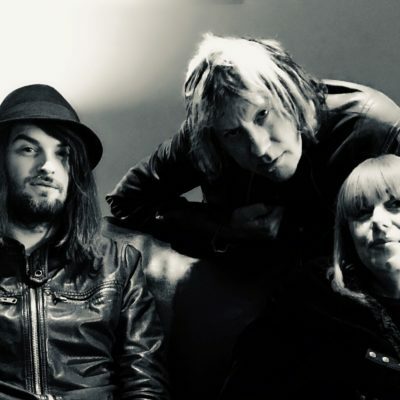 The UK gothic rock/post-punk outfit took their name from a March Violets song and over the years have played worldwide, currently finishing off their 3rd album tentatively called ‘A Second Chance’. Very much like the other acts on this amazing triple bill they are goth rock royalty so don’t be late to game, this terrific line up is never likely to repeated! 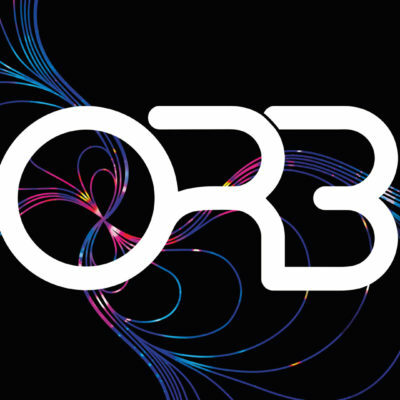 One of history’s most pioneering dance acts THE ORB bring Part 2 of their 30th Anniversary on to the road delivering a career-spanning 30th Anniversary Greatest Hits set which stretches back as far as 1991’s ‘The Orb’s Adventured Beyond The Ultraworld’ all the way to the newest release, 2018’s ‘No Sounds Are Out Of Bounds’. Hot off the back of Part 1 of their tour, which completely sold out, now is your chance to throwback to the 90’s! File under ambient house, chill, dub and techno! The Orb are an act still very much at the top of their game thirty years on – you know what to do, on sale this Friday! 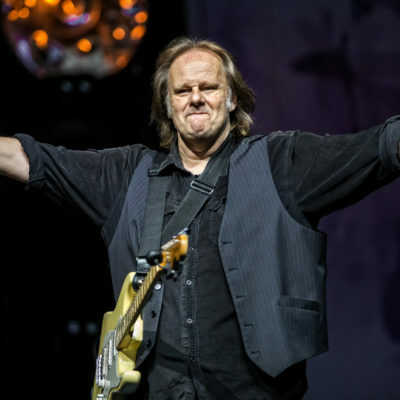 WALTER TROUT‘s back story is a page-turner you won’t want to put down. Five decades in the making; it is equal parts thriller, romance, suspense and horror. There are musical fireworks, critical acclaim and fists-aloft triumph, offset by wilderness years and brushes with the jaws of narcotic oblivion. 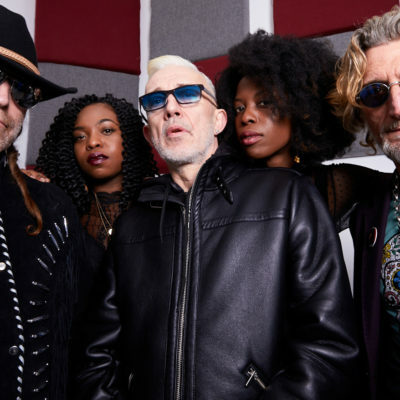 There are feted early stints as gunslinger in bands from John Mayall’s Bluesbreakers to Canned Heat, and the solo career that’s still blazing a quarter-century later. The veteran bluesman has seen and done it all – plays earth shattering blues rock music. And what an awesome support act! In only a little over a decade, DAN PATLANSKY has become one of the busiest and most respected blues artists to ever come out of South Africa. After his debut album which garnered Dan a reputation as a blues-phenomenon, and his subsequent “Readers Choice” vote as “Best Blues Guitarist in Southern Africa”, Dan’s second album was released by EMI on the famed Blue Note label. Dan is one of the only South Africans to ever achieve “Blue Note” status and one of only six Fender endorsed guitarists in South Africa. Dan Patlansky, #1 Blues Rock Album 2016 by Blues Rock Review. Tickets are going to fly out for this – early purchase recommended! 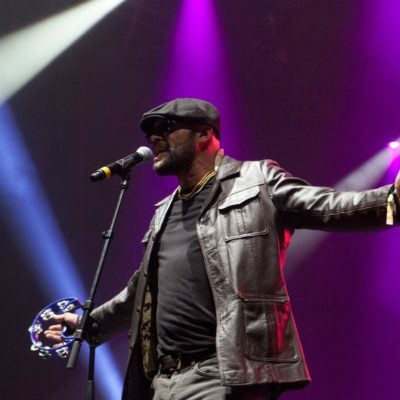 The band’s electrifying live shows have included collaborations with guest vocalists such as Harleighblu, Percydread (The Naturalites), legendary UK rapper Scorzayzee and Natalie duncan (to name a few), as well as the four-times world champion DJ Mr Switch, performing alongside a talented and diverse set of core musicians who’ve toured throughout the world. With shows known to include up to 32 musicians at a time, The Invisible Orchestra is a unique and ever-evolving spectacle. 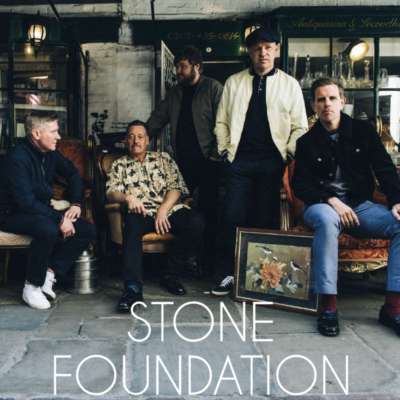 Midlands-based THE STONE FOUNDATION have perfected that sweet soul vibe but with added harder and heavier funk honed by extensive touring, including headline shows at Shepherds Bush Empire and a storming set at Glastonbury. 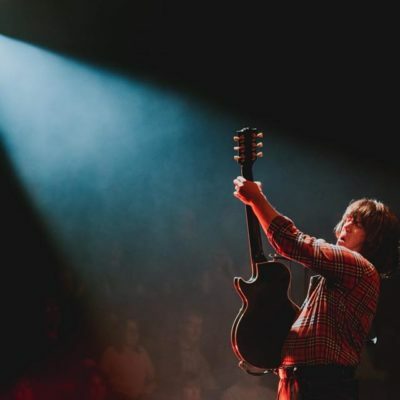 The UK’s premier tribute to Creedence Clearwater Revival, one of America’s greatest bands who, despite their relatively short career, left an enduring legacy of classic songs written and sung by lead guitarist, singer and songwriter John Fogerty. Creedence’s biggest songs, Proud Mary, Bad Moon Rising, Fortunate Son and Have You Ever Seen The Rain all get the treatment as well as their covers of classics like I Heard It Through The Grapevine, Midnight Special and Susie Q.
Capturing the feel, sound and atmosphere of the original songs, CREEDENCE CLEARWATER REVIEW pack all the hits and more into two hours plus of rootsy, swampy, bluesy and sometimes country flavoured rock and roll. FROM THE CLASSIC CCR SOUND OF THE BAYOU COUNTRY, GREEN RIVER, WILLY & THE POOR BOYS AND COSMOS FACTORY, RIGHT THROUGH TO THE PRESENT DAY WITH JOHN FOGERTY’S HITS FROM CENTREFIELD, BLUE MOON SWAMP AND MANY MORE..
Top class authentic tribute MOTORHEADACHE to the late, great Lemmy Kilmister and 40 yrs of Motorhead featuring lifelong Motörhead fan Rob Campbell on Rickenbacker bass and vocals, capturing the essence of Lemmy in voice, stage clothes and that grinding mid-range bass sound. Rob plays a custom built Rickenbastard made By Lemmy’s own luthier, and fitted with the pickups and tuners removed from Lemmy’s own Rickenbastard when it was serviced. 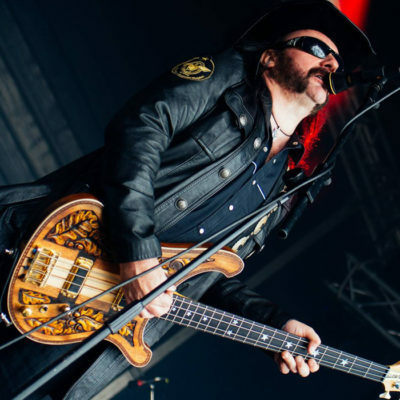 Rob also has a custom Lemmy ‘Murder One’ Marshall Super Bass wired to the same specification as Lemmy’s and two Marshall 4×15 cabs with 4×12 cabs either side of the stage. Motörheadache tour the UK and Europe extensively – this is not a pub band! – including prestige festival and biker rally dates. 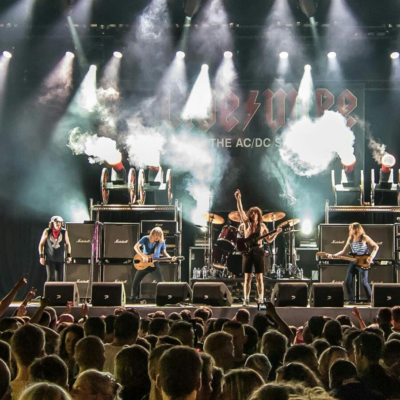 After showcase O2 Academy shows as part of the band’s “The Curse Still Rings True” tour, Motörheadache headlined the Lemmy Dutch Memorial concert in Amsterdam. 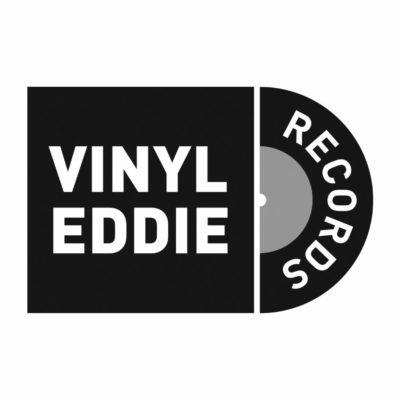 Expect lots of Fast Eddie Clarke-era tunes, regarded by many Motörheadbangers as the classic era from 1975 to 1982, including Ace of Spades / Bomber / Overkill / Iron Fist / The Hammer / Damage Case and the thunderous Motörhead – the last song Lemmy wrote for Hawkwind and the one that gave his new band its name. Expect, also, material from ’83 to 2015; also Brian Robertson’s short stint and the ’84 re-launch as a four piece with Wurzel and Phil Campbell on guitars and finally, the longstanding Lemmy, Phil Campbell and Mikkey Dee era from 1995 to 2015 – Killed by Death / In the Name of Tragedy / Sacrifice / Ramones / Burner and Victory or Die from the last studio outing, Bad Magic. 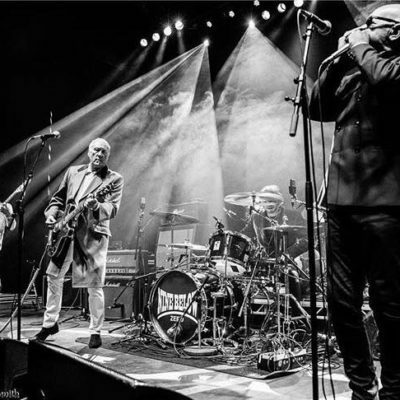 One of the UK’s finest R’n’B bands, NINE BELOW ZERO, formed in 1979 and named themselves after the famous Sonny Boy Williamson song. 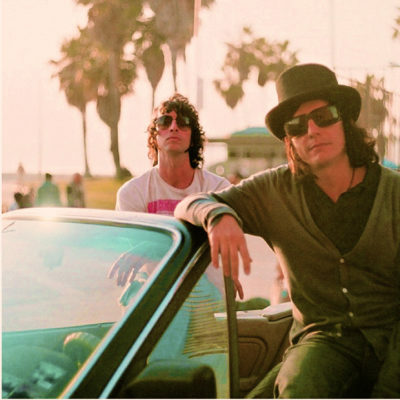 In 1980 they signed to A&M Records, released the seminal “Live at the Marquee” album and by the end of that year had moved from selling out the Marquee to selling out the Hammersmith Odeon. Their first studio album 1981’s “Don’t Point Your Finger” saw the band appearances on the Old Grey Whistle Test and the South Bank show. A year later, they appeared on “The Young Ones” with the track “Eleven + Eleven” before releasing arguably their finest album “Third Degree” which features such tracks as “Wipe Away Your Kiss” & “You Can’t Say Yes And You Can’t Say No”. The album’s iconic image was taken by none other than David Bailey. As UK FOO FIGHTERS embarked on their 10th Anniversary Tour, they found themselves at the centre of a BBC documentary (watch it here) celebrating Tribute in homage to Glastonbury’s 2017 headliners, Foo Fighters. 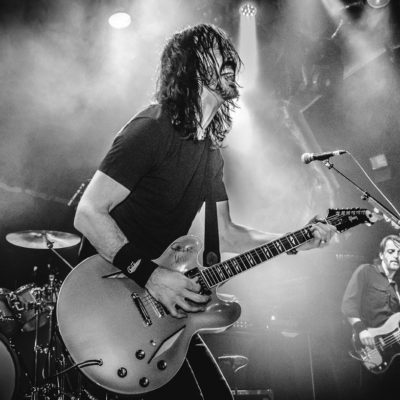 Featured in Classic Rock, Rolling Stone, Kerrang, NME, Q, MOJO and Planet Rock magazines, their meteoric rise continues in 2019 with the ‘Banging on the Ceiling Tour’, a name inspired by Foo Fighters 9th studio album ‘Concrete and Gold’. Piling through hit after hit, the band performs set lists containing all the classics – such as ‘Everlong’ and ‘Best of You’ alongside brand new material from the Foo’s new album ‘Concrete and Gold’ including ‘Run’, ‘The Sky is a Neighborhood’ and ‘La Dee Da’. Absolutely nailing the true vibe of a Foo live experience, and all performed down to the closest detail making it a truly unmissable show for any Foo Fighters fan.